Enviado por admin el 5 January, 2015 - 17:41. The most important thing you can do to help prevent cervical cancer is to get screened regularly starting at age 21. 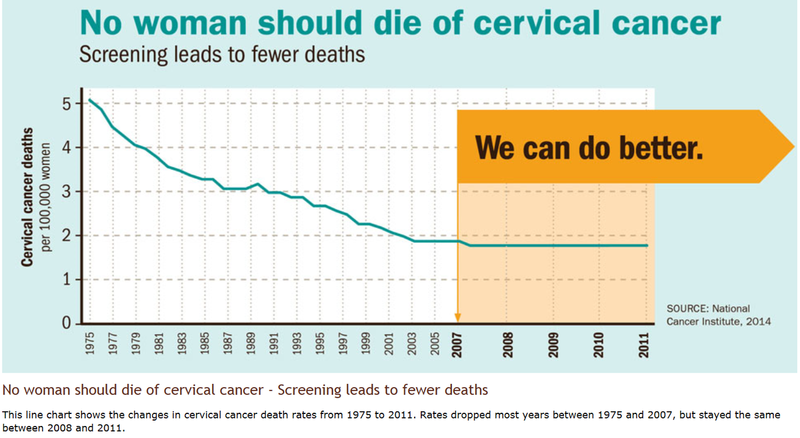 Cervical cancer is highly preventable with regular screening tests and appropriate follow-up care. It also can be cured when found early and treated. Cervical cancer is almost always caused by the human papillomavirus (HPV). Vaccines are available to protect against the types of HPV that most often cause cervical cancer.